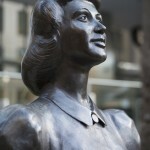 The memorial features a bronze statue of a uniformed servicewoman standing on a sandstone plinth in front of a sandstone wall. 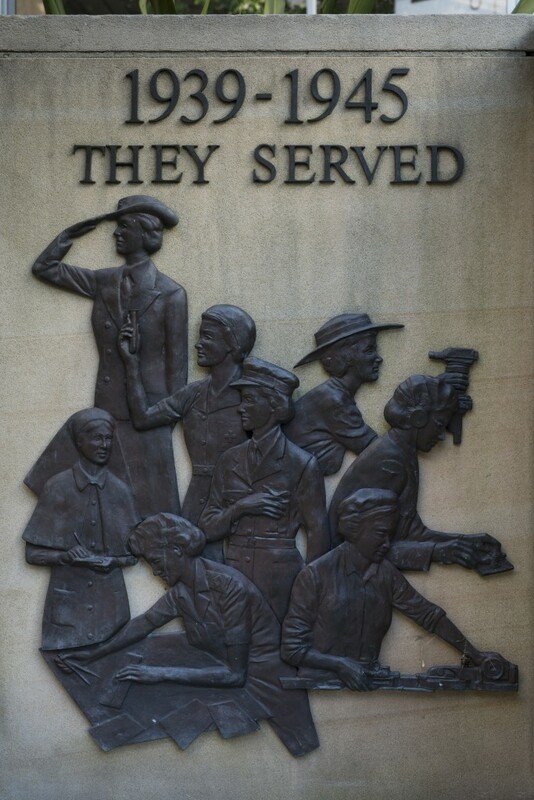 To her right is a bronze bas-relief illustrating the fields in which women served in World War II. 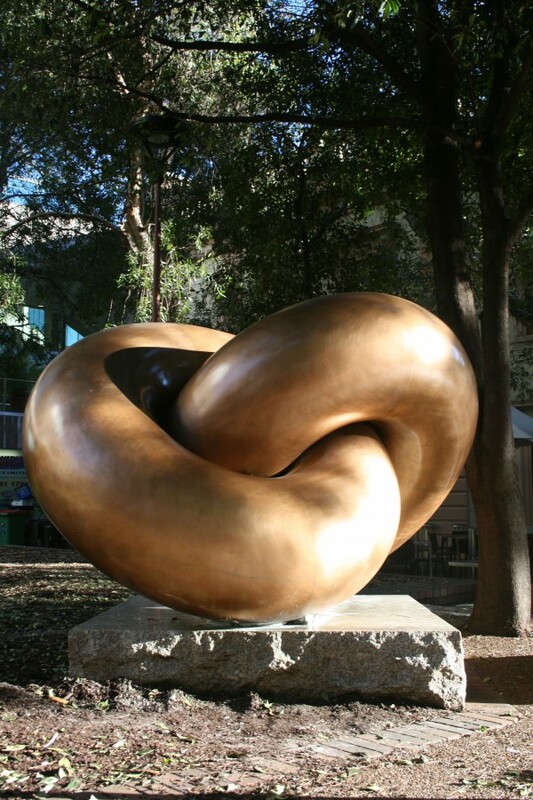 It is located in the Jessie Street Park in Loftus Street at Circular Quay. 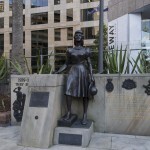 The memorial is dedicated to the wartime servicewomen of New South Wales. 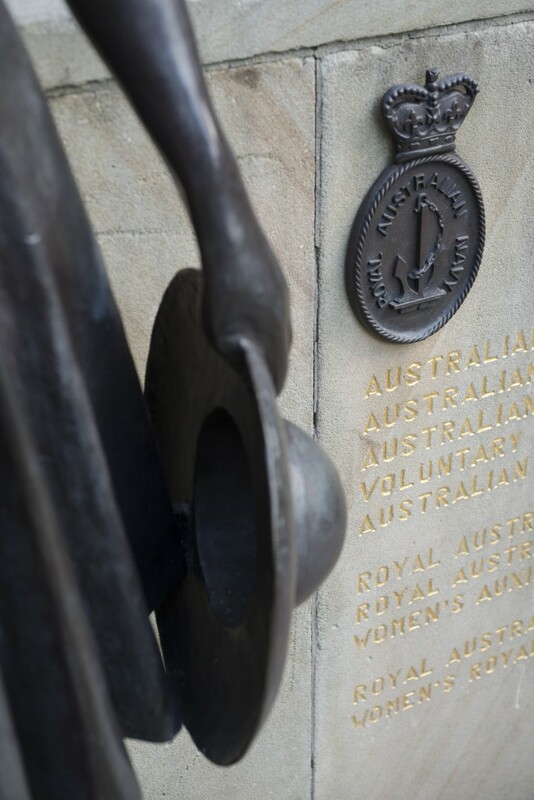 The various plaques and bas-reliefs on the sandstone wall represent the women who served in the Australian Army Medical Corps, Australian Army Nursing Service, Australian Women’s Army Service, Voluntary Aid Detachments and Australian Army Medical Women’s Service, Royal Australian Air Force Medical Service, Royal Australian Air Force Nursing Service, Women’s Auxiliary Australian Air Force, Royal Australian Naval Nursing Service and Women’s Royal Australian Naval Service. 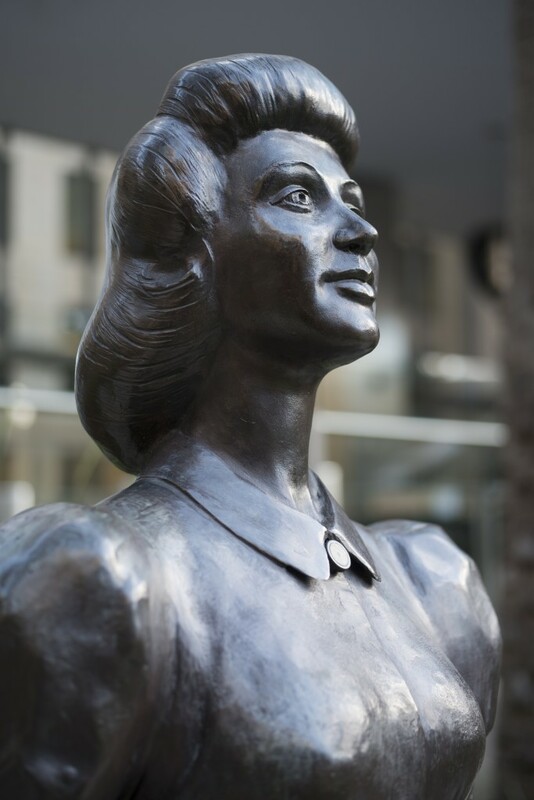 It is fittingly located in Jessie Street Park, which was to be dedicated to the ‘great women of Australia’. Dennis Adams was born in Sydney in 1914 and studied at the Royal Art Society, Sydney and Royal Academy Schools, London. He joined the 18th Battalion and was later seconded to the Department of Home Security for camouflage work on RAAF Stations. In 1942 he was appointed war artist before being made Captain in Military History Section AIF in 1943. He went on to serve in New Guinea, Middle East, Italy, Egypt, UK, France, Belgium, Newfoundland, Canada, the Bahamas, USA, and Japan. 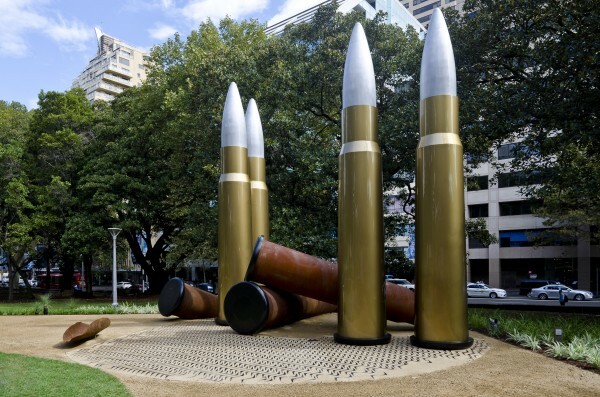 After 1945 he continued to work as an artist mainly in the area of war and has undertaken numerous other works including the Royal Australian Regiment Memorial in Wynyard Square and paintings and sculpture at the Australian War Memorial in Canberra. 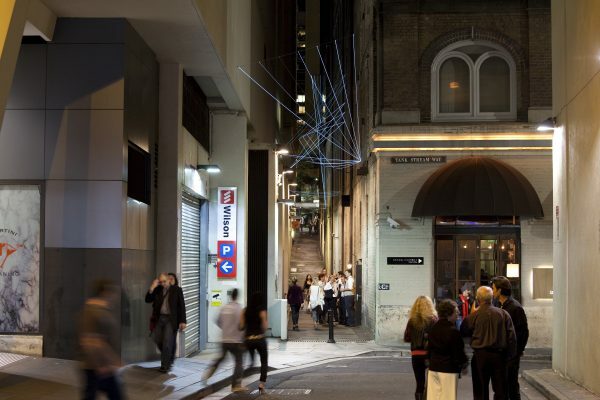 In 1989, he was awarded the order of Australia Medal. 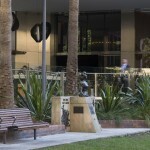 The City of Sydney approved the design and installation of the memorial in July 1988. 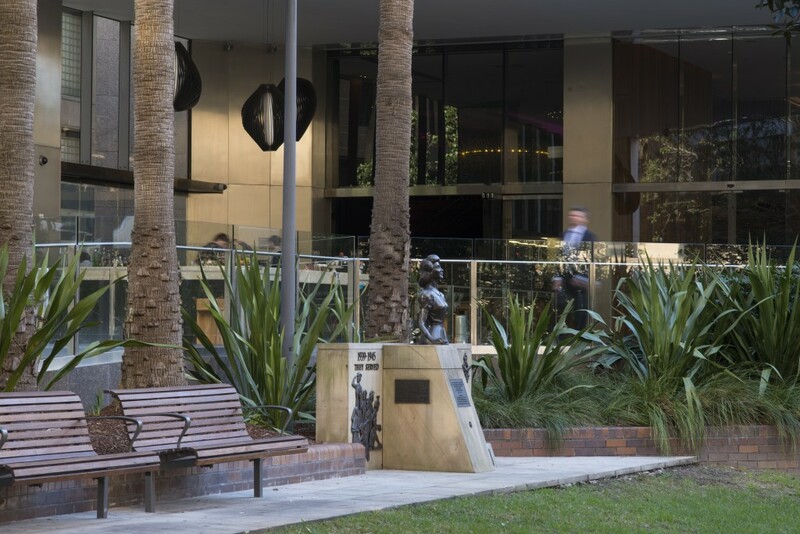 The City had also previously resolved that the park situated in Loftus Street adjacent to the Gateway building be named Jessie Street Gardens, after the late Jessie Street. 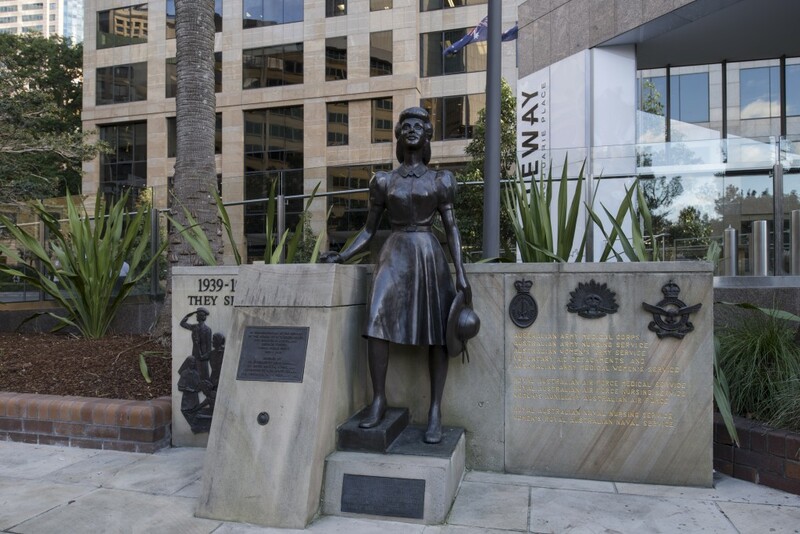 The Council of Ex-Servicewomen’s Association (NSW) erected the memorial with donations from ex-servicewomen and their friends. 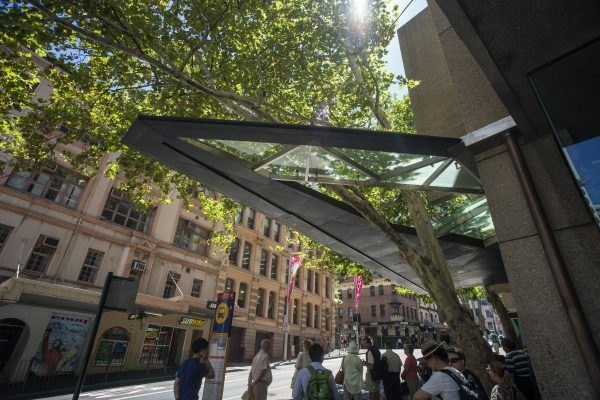 Financial assistance was provided by the New South Wales Government, the New South Wales Bicentennial Council and the Council of the City of Sydney. 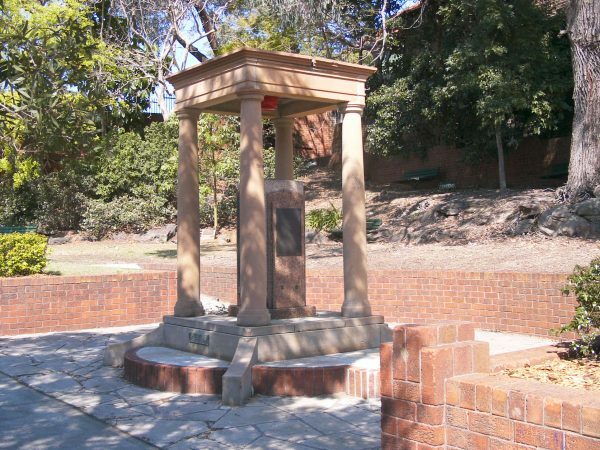 The memorial was unveiled by the Governor of New South Wales, Rear Admiral Sir David Martin, and dedicated on Friday 16 February 1990. 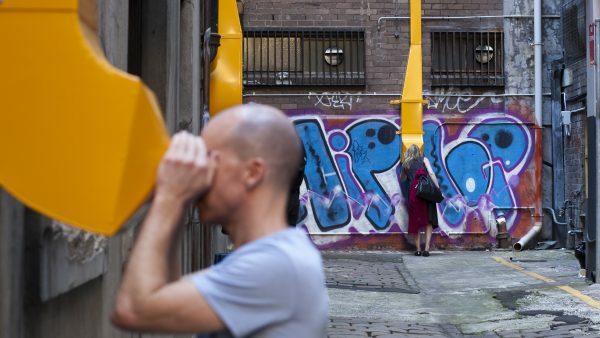 Jessie Street Gardens were opened later that year on Friday 7 December. 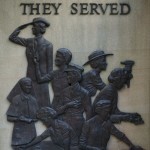 An inscription on the far left reads: “1939-1945 / They served”. 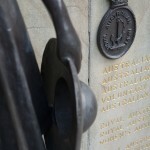 Carved onto the sandstone at right, it reads: “AUSTRALIAN ARMY MEDICAL CORPS / AUSTRALIAN ARMY NURSING SERVICE / AUSTRALIAN WOMEN’S ARMY SERVICE / VOLUNTARY AID DETACHMENTS AND / AUSTRALIAN ARMY MEDICAL WOMEN’S SERVICE / ROYAL AUSTRALIAN AIR FORCE MEDICAL SERVICE / ROYAL AUSTRALIAN AIRFORCE NURSING SERVICE / WOMEN’S AUXILIARY AUSTRALIAN AIR FORCE / ROYAL AUSTRALIAN NAVAL NURSING SERVICE / WOMEN’S ROYAL AUSTRALIAN NAVAL SERVICE”. 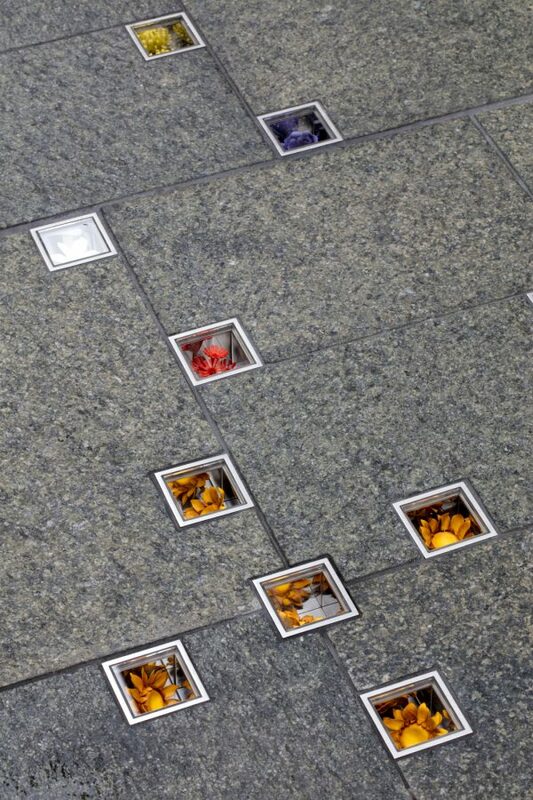 AND DEDICATED ON 16 FEBRUARY 1990.